Here is an unusual milkweed! Climbing milkweed is a native, hairy vine with opposite, heart-shaped leaves. The leaf margins are smooth (or entire). Clusters of small, five-petalled, reddish-brown flowers appear in late spring (May). Later in the summer a long seedpod will replace the flowers. The seedpod and seeds look similar to those in other milkweed species. Look for Climbing Milkweed in rocky, open woods. 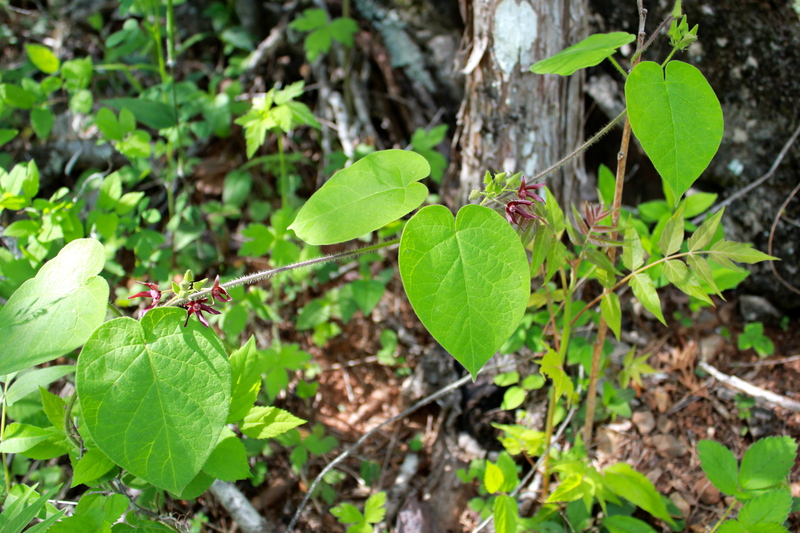 This plant is also known as oldfield milkvine.